International Watertite is a quick drying epoxy filler suitable for use on GRP, Metals and rigid Wood constructions. The formulation does not shrink and is extremely water resistant, making it suitable for localised osmosis damage repairs. It fills up to 20 mm without sagging and is ideal for use above and below the waterline. Watertite is high strength and has good adhesion properties. It is very fast drying and super-smooth when dry. Sizes: 250ml or 1ltr. Colour: Light Blue only. 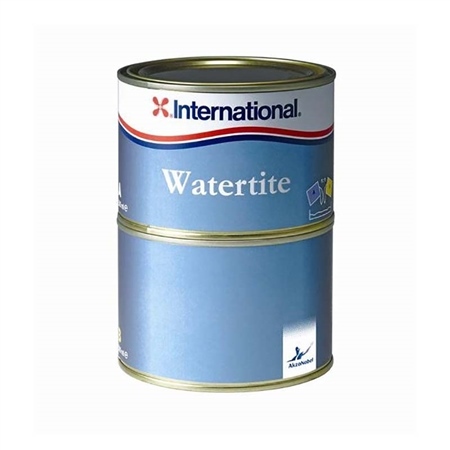 As a long term cruising sailor I've tried the rest, International watertite is the best. Can't imagine maintenance without this product in my tool bag.